One of the things I’m most excited about for 2016 is that I’m on track to get all of my credit card debt, and my loan to my parents, paid off this year. Although I won’t be completely debt free after those things are paid off, I will be sitting in a much better financial position. I’ll only have a small student loan, a low interest car loan, and my mortgage left to tackle. I don’t want to slow my debt payoff down too much until my student loan and car loan are completely paid off, but there are definitely some things I can’t wait to spend money on once I’m credit card debt free and only have my mortgage left. 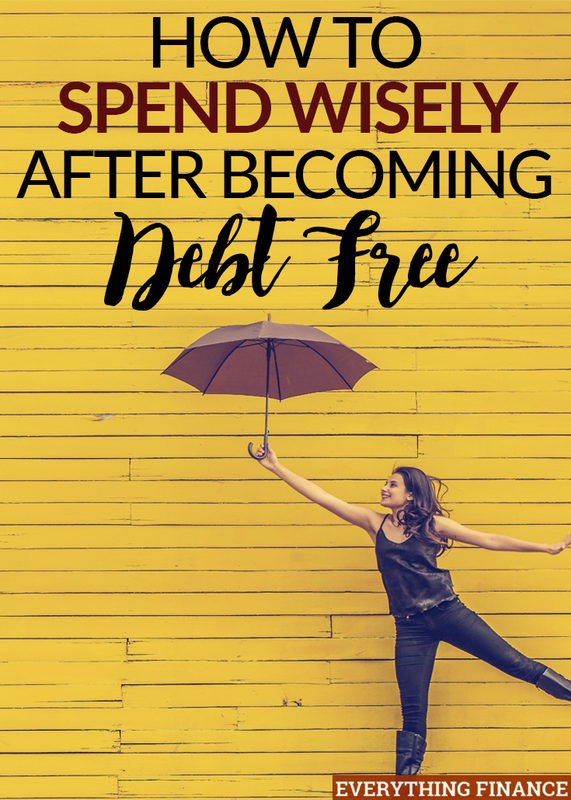 Why Spend After Becoming Debt Free? It may sound counter-intuitive to say that I can’t wait to spend money again once I’m free from debt obligations, but there are some things I’ve been putting off purchasing while I focused on debt. Those are the main things I’m looking forward to spending on when I’m consumer debt free. I definitely don’t want to jump right back on the consumer debt bandwagon, so I know I’ll have to keep my spending under control as I work to pay off my mortgage and build my savings and investments. However, I’m also looking forward to having a little more freedom to spend my money on things I need and things that make me happy. Here are 4 things I can’t wait to spend on when I’m consumer debt free. I recently had an epiphany that I could easily lower my house payment by taking on a roommate or tenant. However, the reason I shot this down in the past is because I truly enjoy having total privacy that can only come from living alone. That confession aside, I could still take on a tenant and maintain privacy if I made a few modifications to my house. The only thing holding me back now is that these modifications cost money. Right now, I’m putting all of that money toward paying off my consumer debt. Once I’m debt free, I can make these modifications and updates, which will allow me to take on a tenant so I can pay off my mortgage faster. Even if I decide not to take this route between now and when I’m consumer debt free, I will likely still spend some money on updates for my house. Over the past year or so, I was bitten by the travel bug. Growing up, my family didn’t travel much at all. I never saw that value of traveling to learn and experience new places, cultures, etc. I plan on doing more domestic traveling even while I continue to pay off my consumer debt, but you can bet that once it’s gone I plan to do some international traveling, too. I’m tired of saying “someday” and feeling a bit of envy whenever I see photos from my friends’ world travels. I’m definitely ready to get out there and experience some of these things myself. Having built more self-confidence in the last year or two has also been a big help as before that, I could never imagine traveling to places by myself. Once my funds are freed up from making huge debt payments every month, I will definitely start saving money in a designated travel fund. Although I do my best to still give some of my time and money to charity and community organizations that I believe in, it will be much easier to do so once I’m not tied down by consumer debt. Right now, whenever I give money to charity, I find myself wrestling with some guilt. I struggle with these feelings because I want to give more to charity, but when I do give money, I also find myself feeling guilty because I know I’m still paying high interest on some of my debt. It can be hard to give money selflessly when you’re paying interest of over 20% on the financial mistakes you’ve made in the past. Being charitable is a great way to celebrate being free from consumer debt, and I can’t wait to give more guiltlessly. Even though I recently told you about my struggles with a shopping habit, I still can’t wait to spend some of my money on higher quality goods and services once I’m consumer debt free. This doesn’t only encompass items like clothes and shoes, but also things like higher quality food, and longer lasting quality items for my home. Right now, I’m trying my best to balance my spending between cheap items so I can put more toward debt, and slightly more expensive items that will last longer, so I don’t have to replace them as often while I’m paying off debt. I’ve started to realize that owning less is okay, especially when the few things you do own are high quality and made to last. Plus, on the food front, buying higher quality food means being healthier and living a longer life. Even though I’ve got these plans in place of what I want to spend on when I’m credit card debt free, I’ve got to make sure I don’t fall back into old spending habits and wind up back in debt. That’s definitely the last place I’d want to be after making so many sacrifices and working hard to pay off my consumer debt. I think the key to avoid getting back into debt is to take things slowly and save for some of these things. Being debt free will feel amazing, but celebrating with too much spending too quickly will put you right back where you started again. Is there anything you are looking forward to spending on when you are debt free? If you’re debt free now, what did you enjoy most about getting out? I cannot wait to travel. Everyone always told me to travel when they are young but I was working too much. This article has given me so many ideas on how to spend the money, wisely. I just have to make sure I still act responsibly and somewhat frugal so I don’t go back to where I was. Thanks for the post!